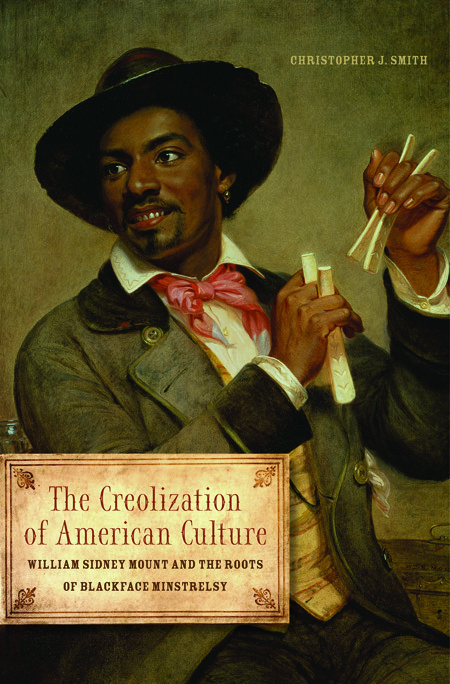 The Creolization of American Culture: William Sidney Mount and the Roots of Blackface Minstrelsy by Christopher J. Smith has been awarded the Irving Lowens Book Award by the Society for American Music (SAM). [The Creolization of American Culture] comfortably disrupts our contextual understanding of minstrelsy and the points of cultural transference between black and white musicians in nineteenth-century America. Significantly, [Smith] employs the term creolization, the mixture of cultures, instead of insisting on the equal-but-separate racial paradigm, while always giving agency to African-Caribbean-American musicians. The book combines a careful critical overview of the existing literature on minstrelsy, close analysis of a wide variety of historical sources (especially of works of visual art), and a thorough knowledge of musical style and performance techniques to provide a persuasive demonstration that early minstrel culture created a vernacular style rooted in the working class, a style that integrated Anglo-Celtic and Afro-Caribbean practices into an original synthesis. 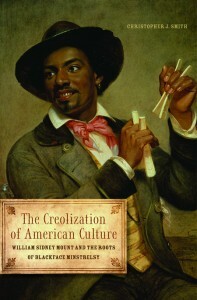 A paperback edition of The Creolization of American Culture was released in the fall. You can read an interview about the book with author Christopher J. Smith here.